Wedged between two of Seoul’s most famous palaces, Gyeongbok and Changdeok, is the quaint and hilly neighbourhood of Bukchon. Bukchon was a quiet residential backwater until the early 2000’s but since it was featured in some Korean TV shows its popularity has mushroomed. 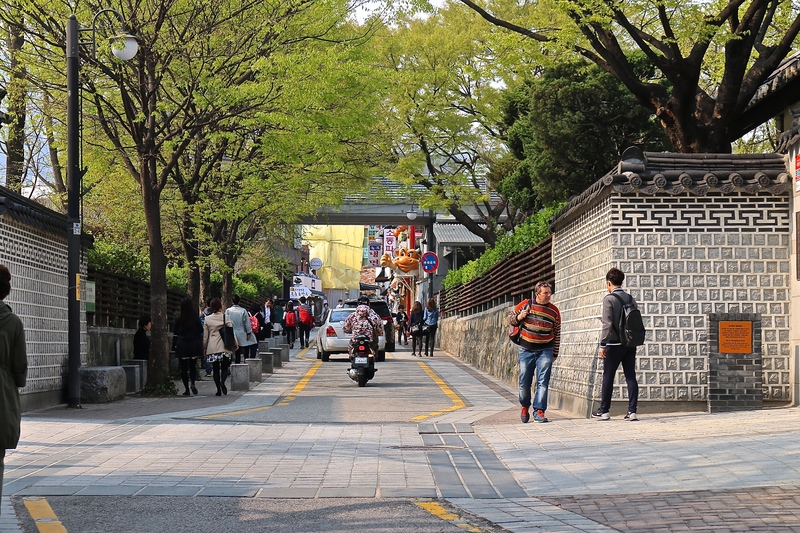 Tourists, both domestic and foreigners, flock here to explore the narrow alleys of traditional Korean houses known as hanok as well as the museums and cultural activities on offer. 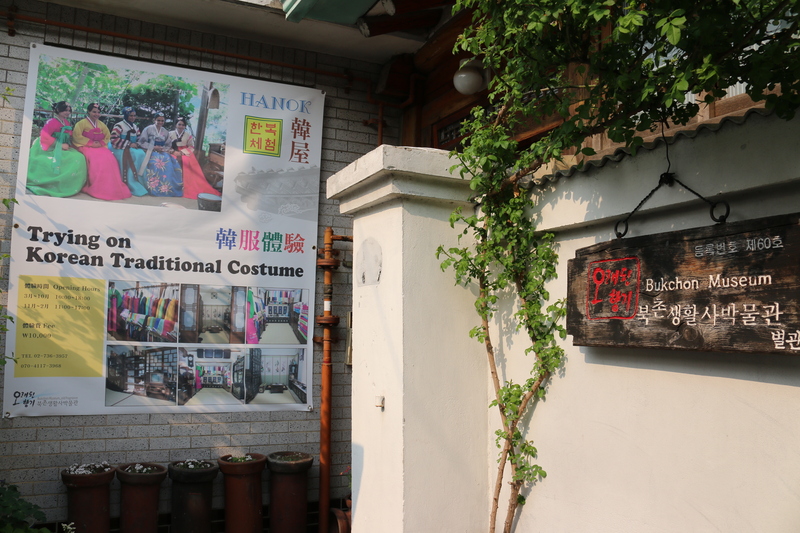 Artisans living here specialise in skills such as knot making, embroidery, zither playing, lacquer making and cookery. 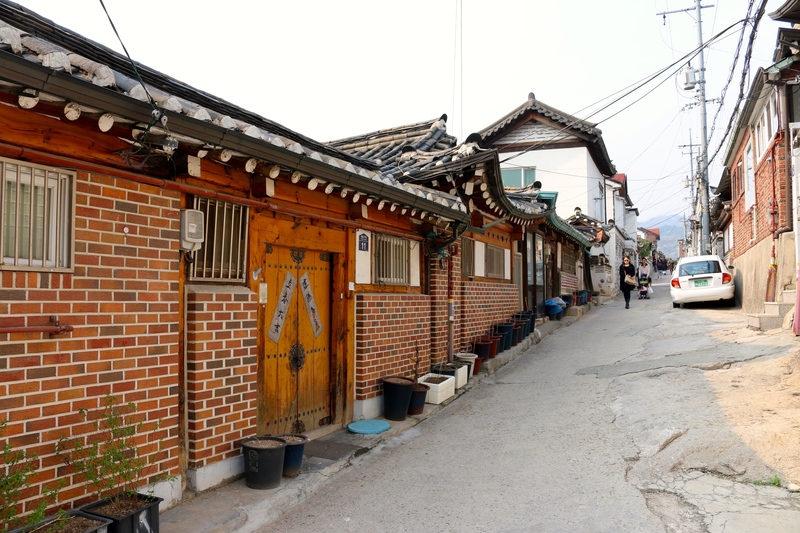 Traditional Hanok houses in Seoul’s Bukchon district. 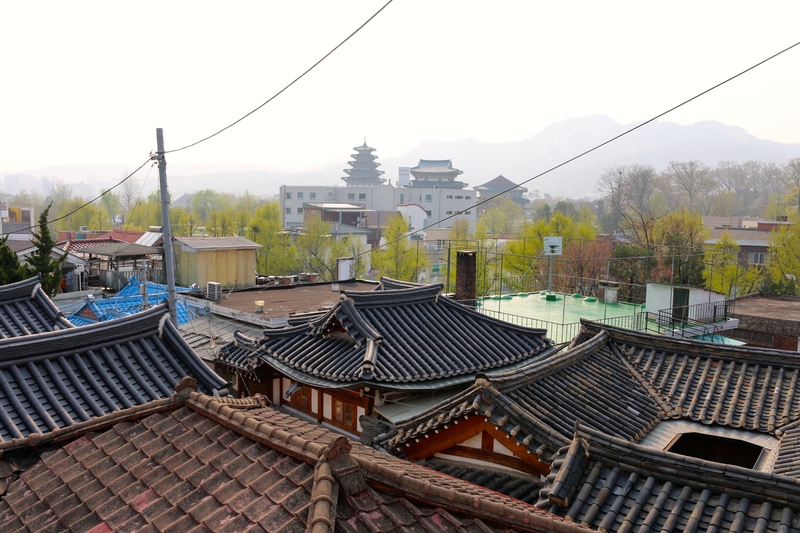 Hanok are what all ordinary Koreans would have lived once upon a time. Typically they would be single storey L or U shaped structures with an interior courtyard where kimchi would be made and stored. They were made of pine frames and insulated with rice straw and clay. Originally they had thatched roofs but now are tiled. Windows and doors were covered with mulberry paper. They would have been freezing in winter were it not for the ingenious ondol underfloor heating. Traditional style hanok with some more modern alterations such as the brickwork and windows. Seoul’s hanoks were severely depleted during the Korean War while most of those that survived have been swept away in the nation’s rush to modernity. 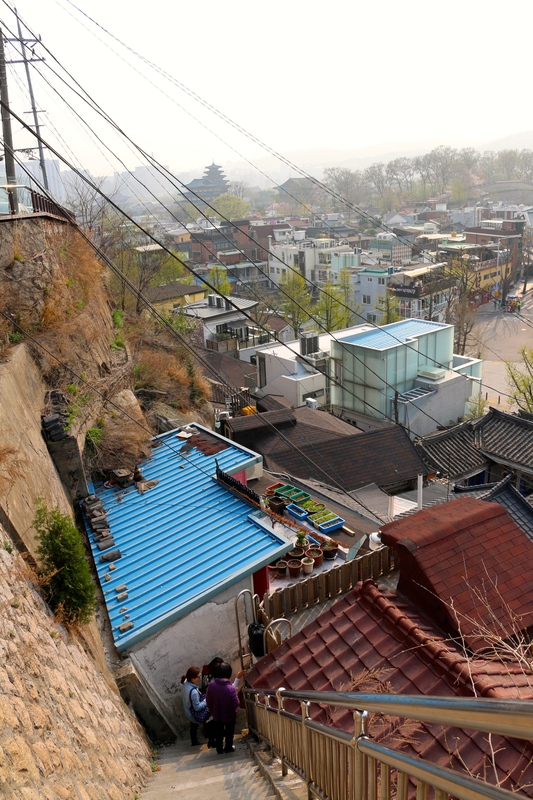 Even in Bukchon only around 800 still remain and these are under threat by development. 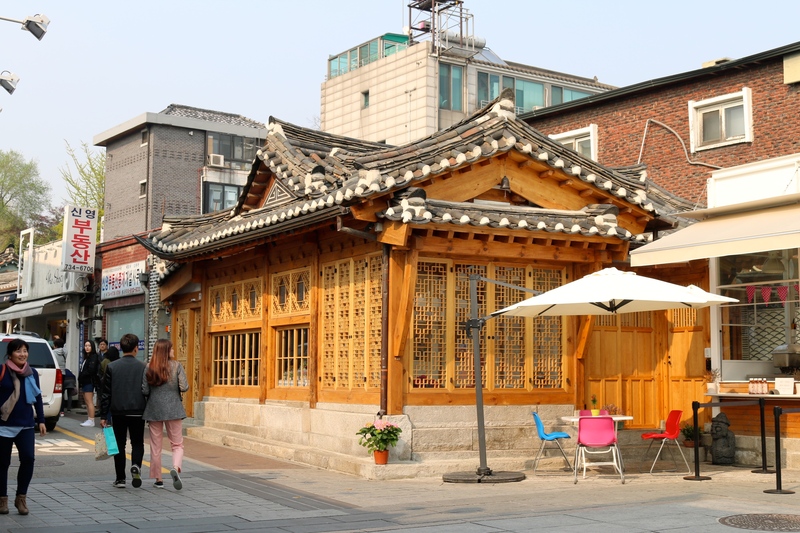 Most of the hanok in Bukchon are of no great age, having been built in the 1920s or 30s. Some of the hanok operate as guest houses where tourists can try sleeping on the floor and experience the traditional bath. At the Bukchon Museum, visitors can try on traditional Korean costume and have their photos taken. On the fringes of the district, teahouses, restaurants, boutiques and galleries draw in the fashionable young Seoul crowd. We barely scratched the surface of this interesting district during our brief visit and I would like to explore further if I get the chance.